With 42 Big Block Modifieds in attendance, Bicknell Racing Products conquered the weekend in full force. Billy Decker topped Saturday’s portion of the group time trials with a time of 15.579, a little over a tenth faster than BRP driver, Keith Flach, who was in a close second overall. Out of eight heat races for both Friday and Saturday’s event, BRP ran away with six of the eight heat races. Four last chance qualifiers were slated with BRP drivers winning three of the four. 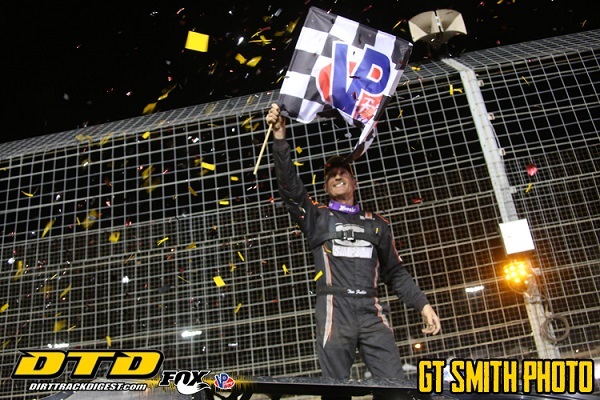 Friday’s 40-lap main event saw three BRP drivers round out the top five – Tim McCreadie, Matt Sheppard and Erick Rudolph. Saturday night’s main event saw Tim Fuller make a late race pass over Matt Sheppard to pull away with the victory. Four out of the top five drivers were BRP drivers – Fuller, Sheppard, Billy Decker, and Demetrios Drellos. The week before saw the stars of the sportsman series take to the dirt tack at charlotte for the World Short Track Championships. 35 Sportsman cars from the Us and Canada were in attendance to compete for the title and once again BRP drivers did not disappoint. Tyler Thompson took home the win in the Driven Racing Oil World Short Track Championships All-Star invitational. Robert Bublak Jr came home 2nd,Jessica Power 4th and Jeff Taylor rounded out the top 5. The weekend also saw Kevin Root picking up a second place finish in the Championship feature event. Jessica Power rounded out the podium with Dave Marcuccilli and Alan Fink completing the top 5. Power was also awarded the VP Racing Fuels Sportsman Driver of the Year award during Saturday’s drivers meeting. Brad Rouse, Tyler Thompson, Dave Marcuccilli and Matt Guerreri picked up 4 of the 4 heat wins. Brad Rouse and Dave Marcuccilli kicked off the weekend laying down the fastest times group time trials. Everyone at Bicknell Racing Products would like to congratulate all of the drivers on their successful World Finals and World Short Track Championship Weekends.